It was the first time I have accepted a blog invitation in almost two years as life intervened and priorities changed. However, having had delicious meals at Lineage and the Island Creek Oyster Bar (oh, the biscuits!) 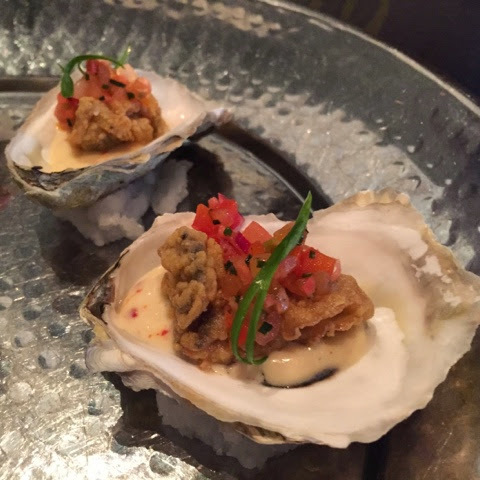 (oh, the oysters!! 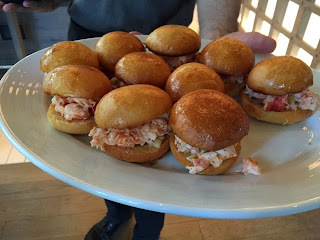 ), I couldn't pass up a recent opportunity to attend an event to celebrate the release of chef Jeremy Sewall's first cookbook, The New England Kitchen. 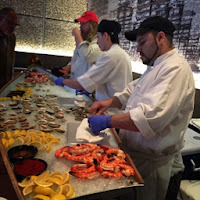 I arrived at the Island Creek Oyster Bar to find that we were being treated to a taste of some of the recipes in the book. The lobster rolls were fresh meat on sweet, brioche buns. 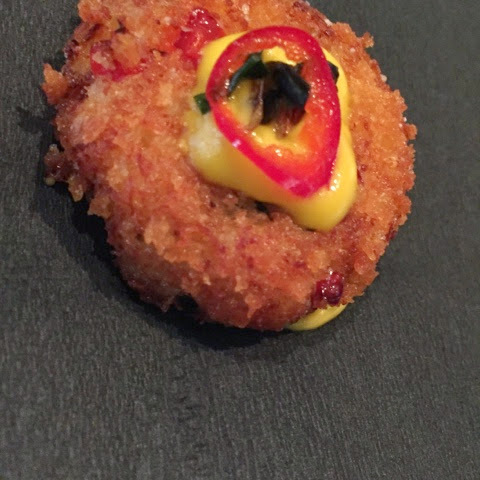 The crab cakes were light and full of crab, rather than filler. Their richness was cut by the pickled pepper that sat on top and sweet squash puree as a base. 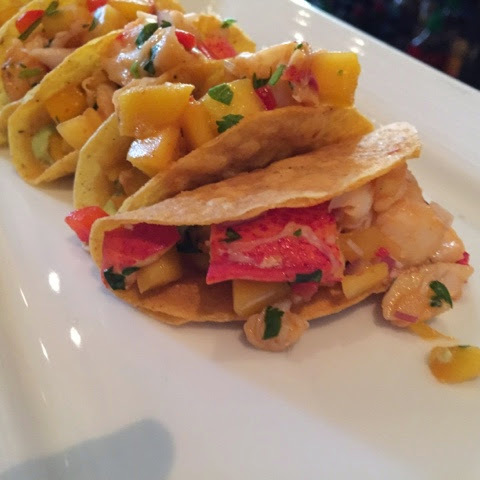 A similar pairing worked with the fried oyster that was topped with a tangy green tomato relish. And the tacos were a mix of textures: sweet mango, chunks of lobster, and the fresh crunch of hte shell. That being said, it was hard to drag myself away from the raw bar, full of Island Creek oysters, huge shrimp and littlenecks. 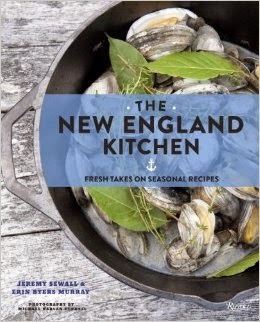 The cookbook itself, The New England Kitchen was co-written with Erin Byers Murray, author of the wonderful, "Shucked." The book itself is beautiful and is full of updated twists on classic New England dishes. I haven't yet had a chance to book any of the recipes from it, but as the cold weather has set in, I am looking forward to making the Cauliflower Soup, the Sea Scallops With Creamy Turnip Puree and the Sugar Pumpkin Salad with Whipped Ricotta, Toasted Seeds and Curry Oil. But perhaps the recipe I am longing to make most is the obvious one: Buttermilk Biscuits.